For other uses, see Yemen (disambiguation). Yemen (/ˈjɛmən/ ( listen); Arabic: ٱلْيَمَن‎, translit. al-Yaman), officially the Republic of Yemen (Arabic: ٱلْجُمْهُورِيَّة ٱلْيَمَنِيَّة‎, translit. al-Jumhūrīyah al-Yamanīyah), is a country at the southern end of the Arabian Peninsula in Western Asia. Yemen is the second-largest Arab sovereign state in the peninsula, occupying 527,970 square kilometres (203,850 square miles). The coastline stretches for about 2,000 kilometres (1,200 miles). It is bordered by Saudi Arabia to the north, the Red Sea to the west, the Gulf of Aden and Guardafui Channel to the south, and the Arabian Sea and Oman to the east. Yemen's territory includes more than 200 islands. 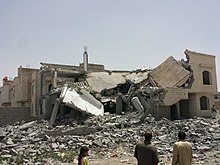 Yemen is a member of the Arab League, United Nations, Non-Aligned Movement and the Organisation of Islamic Cooperation. Yemen's constitutionally stated capital is the city of Sana'a, but the city has been under Houthi rebel control since February 2015. Yemen is a developing country and the poorest country in the Middle East.. It is also the most corrupt. In 2016 the United Nations reported that Yemen is the country with the most people in need of humanitarian aid in the world with 21.2 million. Historically, Yemen was the home of the Sabaeans, a trading state that flourished for over a thousand years and also included parts of modern-day Ethiopia and Eritrea. In 275 CE, the region came under the rule of the later Jewish-influenced Himyarite Kingdom. Christianity arrived in the fourth century. Islam spread quickly in the seventh century and Yemenite troops were crucial in the expansion of the early Islamic conquests. Administration of Yemen has long been notoriously difficult. 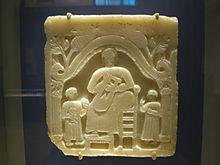 Several dynasties emerged from the ninth to 16th centuries, the Rasulid dynasty being the strongest and most prosperous. The country was divided between the Ottoman and British empires in the early twentieth century. The Zaydi Mutawakkilite Kingdom of Yemen was established after World War I in North Yemen before the creation of the Yemen Arab Republic in 1962. South Yemen remained a British protectorate known as the Aden Protectorate until 1967 when it became an independent state and later, a Marxist-Leninist state. The two Yemeni states united to form the modern republic of Yemen in 1990. President Ali Abdullah Saleh was the first president of the new republic, until his resignation in 2012. His rule has been described as a kleptocracy. Since 2011, Yemen has been in a state of political crisis starting with street protests against poverty, unemployment, corruption, and president Saleh's plan to amend Yemen's constitution and eliminate the presidential term limit, in effect making him president for life. President Saleh stepped down and the powers of the presidency were transferred to Vice President Abdrabbuh Mansur Hadi, who was formally elected president on 21 February 2012 in a one-man election. The total absence of central government during this transitional process engendered the escalation of the several clashes on-going in the country, like the armed conflict between the Houthi rebels of Ansar Allah militia and the al-Islah forces, as well as the al-Qaeda insurgency. In September 2014, the Houthis took over Sana'a with the help of the ousted president Saleh, later declaring themselves in control of the country after a coup d'état; Saleh was shot dead by a sniper in Sana'a in December 2017. This resulted in a new civil war and a Saudi Arabian-led military intervention aimed at restoring Hadi's government. At least 56,000 civilians and combatants have been killed in armed violence in Yemen since January 2016. The conflict has resulted in a famine that is affecting 17 million people. The lack of safe drinking water, caused by depleted aquifers and the destruction of the country's water infrastructure, has also caused the world's worst outbreak of cholera, with the number of suspected cases exceeding 994,751. Over 2,226 people have died since the outbreak began to spread rapidly at the end of April 2017. The term Yamnat was mentioned in Old South Arabian inscriptions on the title of one of the kings of the second Himyarite kingdom known as Shammar Yahrʽish II. The term was probably referring to the southwestern coastline of the Arabian peninsula and the southern coastline between Aden and Hadramout. The historical Yemen includes much greater territory than that of the current republic of Yemen. It stretches from the northern 'Asir Region in southwestern Saudi Arabia to Dhofar Governorate in southern Oman. One etymology derives Yemen from ymnt, meaning "South", and significantly plays on the notion of the land to the right (𐩺𐩣𐩬). Other sources claim that Yemen is related to yamn or yumn, meaning "felicity" or "blessed", as much of the country is fertile. The Romans called it Arabia Felix (happy Arabia), as opposed to Arabia Deserta (deserted Arabia). Latin and Greek writers used the name "India" to refer to South Arabia (ancient Yemen). The use of the term "India" arise from the fact that the Persians called the Abyssinians whom they came into contact in South Arabia by the name of the dark-skinned people who lived next to them, i.e., Indians. The Sabaean Kingdom came into existence from at least the 11th century BC. The four major kingdoms or tribal confederations in South Arabia were: Saba, Hadramout, Qataban, and Ma'in. 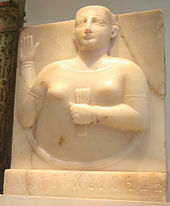 Saba’ (Arabic: سَـبَـأ‎) is thought to be biblical Sheba, and was the most prominent federation. The Sabaean rulers adopted the title Mukarrib generally thought to mean unifier, or a priest-king, or the head of confederation of South Arabian kingdoms, the 'king of the kings'. The role of the Mukarrib was to bring the various tribes under the kingdom and preside over them all. The Sabaeans built the Great Dam of Marib around 940 BC. The dam was built to withstand the seasonal flash floods surging down the valley. Between 700 and 680 BC, the Kingdom of Awsan dominated Aden and its surroundings and challenged the Sabaean supremacy in the Arabian South. Sabaean Mukarrib Karib'il Watar I conquered the entire realm of Awsan, and expanded Sabaean rule and territory to include much of South Arabia. Lack of water in the Arabian Peninsula prevented the Sabaeans from unifying the entire peninsula. Instead, they established various colonies to control trade routes. Evidence of Sabaean influence is found in northern Ethiopia, where the South Arabian alphabet, religion and pantheon, and the South Arabian style of art and architecture were introduced. The Sabaean created a sense of identity through their religion. They worshipped El-Maqah and believed that they were his children. For centuries, the Sabaeans controlled outbound trade across the Bab-el-Mandeb, a strait separating the Arabian Peninsula from the Horn of Africa and the Red Sea from the Indian Ocean. By the third century BC, Qataban, Hadramout, and Ma'in became independent from Saba and established themselves in the Yemeni arena. Minaean rule stretched as far as Dedan, with their capital at Baraqish. The Sabaeans regained their control over Ma'in after the collapse of Qataban in 50 BCE. By the time of the Roman expedition to Arabia Felix in 25 BC, the Sabaeans were once again the dominating power in Southern Arabia. Aelius Gallus was ordered to lead a military campaign to establish Roman dominance over the Sabaeans. After the Roman expedition – perhaps earlier – the country fell into chaos, and two clans, namely Hamdan and Himyar, claimed kingship, assuming the title King of Sheba and Dhu Raydan. Dhu Raydan, i.e., Himyarites, allied themselves with Aksum in Ethiopia against the Sabaeans. The chief of Bakil and king of Saba and Dhu Raydan, El Sharih Yahdhib, launched successful campaigns against the Himyarites and Habashat, i.e., Aksum, El Sharih took pride in his campaigns and added the title Yahdhib to his name, which means "suppressor"; he used to kill his enemies by cutting them to pieces. Sana'a came into prominence during his reign, as he built the Ghumdan Palace as his place of residence. The Himyarite annexed Sana'a from Hamdan around 100 CE. Hashdi tribesmen rebelled against them and regained Sana'a around 180 AD. Shammar Yahri'sh had not conquered Hadramout, Najran, and Tihama until 275 CE, thus unifying Yemen and consolidating Himyarite rule. The Himyarites rejected polytheism and adhered to a consensual form of monotheism called Rahmanism. In 354 CE, Roman Emperor Constantius II sent an embassy headed by Theophilos the Indian to convert the Himyarites to Christianity. According to Philostorgius, the mission was resisted by local Jews. Several inscriptions have been found in Hebrew and Sabaean praising the ruling house in Jewish terms for "...helping and empowering the People of Israel." According to Islamic traditions, King As'ad the Perfect mounted a military expedition to support the Jews of Yathrib. Abu Kariba As'ad, as known from the inscriptions, led a military campaign to central Arabia or Najd to support the vassal Kingdom of Kindah against the Lakhmids. However, no direct reference to Judaism or Yathrib was discovered from his lengthy reign. Abu Kariba died in 445 CE, having reigned for almost 50 years. By 515 AD, Himyar became increasingly divided along religious lines and a bitter conflict between different factions paved the way for an Aksumite intervention. The last Himyarite king Ma'adikarib Ya'fur was supported by Aksum against his Jewish rivals. Ma'adikarib was Christian and launched a campaign against the Lakhmids in southern Iraq, with the support of other Arab allies of Byzantium. The Lakhmids were a Bulwark of Persia, which was intolerant to a proselytizing religion like Christianity. After the death of Ma'adikarib Ya'fur around 521 CE, a Himyarite Jewish warlord named Yousef Asar Yathar rose to power with the honorary title of Yathar (meaning, "to avenge"). Yemenite Christians, aided by Aksum and Byzantium, systematically persecuted Jews and burned down several synagogues across the land. Yousef avenged his people with great cruelty. He marched toward the port city of Mocha, killing 14,000 and capturing 11,000. Then he settled a camp in Bab-el-Mandeb to prevent aid flowing from Aksum. At the same time, Yousef sent an army under the command of another Jewish warlord, Sharahil Yaqbul, to Najran. Sharahil had reinforcements from the Bedouins of the Kindah and Madh'hij tribes, eventually wiping out the Christian community in Najran. Yousef or Dhu Nuwas (the one with sidelocks) as known in Arabic literature, believed that Christians in Yemen were a fifth column. 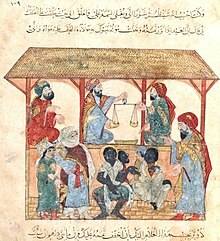 Christian sources portray Dhu Nuwas (Yousef Asar) as a Jewish zealot, while Islamic traditions say that he threw 20,000 Christians into pits filled with flaming oil. This history, however, is shrouded in legend. Dhu Nuwas left two inscriptions, neither of them making any reference to fiery pits. Byzantium had to act or lose all credibility as protector of eastern Christianity. It is reported that Byzantium Emperor Justin I sent a letter to the Aksumite King Kaleb, pressuring him to "...attack the abominable Hebrew." A tripartite military alliance of Byzantine, Aksumite, and Arab Christians successfully defeated Yousef around 525–527 CE, and a client Christian king was installed on the Himyarite throne. Emperor Justinian I sent an embassy to Yemen. He wanted the officially Christian Himyarites to use their influence on the tribes in inner Arabia to launch military operations against Persia. Justinian I bestowed the "dignity of king" upon the Arab sheikhs of Kindah and Ghassan in central and northern Arabia. From early on, Roman and Byzantine policy was to develop close links with the powers of the coast of the Red Sea. They were successful in converting[clarification needed] Aksum and influencing their culture. The results with regard to Yemen were rather disappointing. A Kendite prince called Yazid bin Kabshat rebelled against Abraha and his Arab Christian allies. A truce was reached once the Great Dam of Marib had suffered a breach. 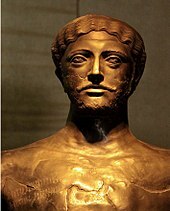 Abraha died around 555–565; no reliable sources regarding his death are available. The Sasanid empire annexed Aden around 570 CE. Under their rule, most of Yemen enjoyed great autonomy except for Aden and Sana'a. This era marked the collapse of ancient South Arabian civilization, since the greater part of the country was under several independent clans until the arrival of Islam in 630 CE. Muhammed sent his cousin Ali to Sana'a and its surroundings around 630 CE. At the time, Yemen was the most advanced region in Arabia. The Banu Hamdan confederation was among the first to accept Islam. Muhammed sent Muadh ibn Jabal, as well to Al-Janad, in present-day Taiz, and dispatched letters to various tribal leaders. The reason behind this was the division among the tribes and the absence of a strong central authority in Yemen during the days of the prophet. Major tribes, including Himyar, sent delegations to Medina during the "year of delegations" around 630–631 CE. 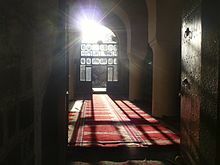 Several Yemenis accepted Islam before the year 630, such as Ammar ibn Yasir, Al-Ala'a Al-Hadrami, Miqdad ibn Aswad, Abu Musa Ashaari, and Sharhabeel ibn Hasana. A man named 'Abhala ibn Ka'ab Al-Ansi expelled the remaining Persians and claimed he was a prophet of Rahman. He was assassinated by a Yemeni of Persian origin called Fayruz al-Daylami. Christians, who were mainly staying in Najran along with Jews, agreed to pay jizyah (Arabic: جِـزْيَـة‎), although some Jews converted to Islam, such as Wahb ibn Munabbih and Ka'ab al-Ahbar. Yemen was stable during the Rashidun Caliphate. Yemeni tribes played a pivotal role in the Islamic expansion of Egypt, Iraq, Persia, the Levant, Anatolia, North Africa, Sicily, and Andalusia. Yemeni tribes who settled in Syria, contributed significantly to the solidification of Umayyad rule, especially during the reign of Marwan I. Powerful Yemenite tribes such as Kindah were on his side during the Battle of Marj Rahit. Several emirates led by people of Yemeni descent were established in North Africa and Andalusia. Effective control over entire Yemen was not achieved by the Umayyad Caliphate. Imam Abdullah ibn Yahya Al-Kindi was elected in 745 CE to lead the Ibāḍī movement in Hadramawt and Oman. He expelled the Umayyad governor from Sana'a and captured Mecca and Medina in 746. Al-Kindi, known by his nickname "Talib al-Haqq" (seeker of truth), established the first Ibadi state in the history of Islam, but was killed in Taif around 749. Muhammad ibn Abdullah ibn Ziyad founded the Ziyadid dynasty in Tihama around 818 CE. The state stretched from Haly (in present-day Saudi Arabia) to Aden. They nominally recognized the Abbasid Caliphate, but were in fact ruling independently from their capital in Zabid. The history of this dynasty is obscure. They never exercised control over the highlands and Hadramawt, and did not control more than a coastal strip of the Yemen (Tihama) bordering the Red Sea. A Himyarite clan called the Yufirids established their rule over the highlands from Saada to Taiz, while Hadramawt was an Ibadi stronghold and rejected all allegiance to the Abbasids in Baghdad. By virtue of its location, the Ziyadid dynasty of Zabid developed a special relationship with Abyssinia. The chief of the Dahlak islands exported slaves, as well as amber and leopard hides, to the then ruler of Yemen. The first Zaidi imam, Yahya ibn al-Husayn, arrived in Yemen in 893 CE. He was the founder of the Zaidi imamate in 897. He was a religious cleric and judge who was invited to come to Saada from Medina to arbitrate tribal disputes. Imam Yahya persuaded local tribesmen to follow his teachings. The sect slowly spread across the highlands, as the tribes of Hashid and Bakil, later known as "the twin wings of the imamate," accepted his authority. The Yufirid emir Abdullah ibn Qahtan attacked and burned Zabid in 989, severely weakening the Ziyadid dynasty. The Ziyadid monarchs lost effective power after 989, or even earlier than that. Meanwhile, a succession of slaves held power in Zabid and continued to govern in the name of their masters, eventually establishing their own dynasty around 1022 or 1050 according to different sources. Although they were recognized by the Abbasid Caliphate in Baghdad, they ruled no more than Zabid and four districts to its north. The rise of the Ismaili Shia Sulayhid dynasty in the Yemeni highlands reduced their history to a series of intrigues. Jibla became the capital of the dynasty. Featured is the Queen Arwa Mosque. The Sulayhid dynasty was founded in the northern highlands around 1040; at the time, Yemen was ruled by different local dynasties. In 1060, Ali ibn Muhammad Al-Sulayhi conquered Zabid and killed its ruler Al-Najah, founder of the Najahid dynasty. His sons were forced to flee to Dahlak. Hadramawt fell into Sulayhid hands after their capture of Aden in 1162. By 1063, Ali had subjugated Greater Yemen. He then marched toward Hejaz and occupied Makkah. Ali was married to Asma bint Shihab, who governed Yemen with her husband. The Khutba during Friday prayers was proclaimed in her husband and her names. No other Arab woman had this honor since the advent of Islam. Ali al-Sulayhi was killed by Najah's sons on his way to Mecca in 1084. His son Ahmed Al-Mukarram led an army to Zabid and killed 8,000 of its inhabitants. He later installed the Zurayids to govern Aden. al-Mukarram, who had been afflicted with facial paralysis resulting from war injuries, retired in 1087 and handed over power to his wife Arwa al-Sulayhi. Queen Arwa moved the seat of the Sulayhid dynasty from Sana'a to Jibla, a small town in central Yemen near Ibb. Jibla was strategically near the Sulayhid dynasty source of wealth, the agricultural central highlands. It was also within easy reach of the southern portion of the country, especially Aden. She sent Ismaili missionaries to India, where a significant Ismaili community was formed that exists to this day. Queen Arwa continued to rule securely until her death in 1138. Arwa al-Sulayhi is still remembered as a great and much loved sovereign, as attested in Yemeni historiography, literature, and popular lore, where she is referred to as Balqis al-sughra ("the junior queen of Sheba"). Although the Sulayhids were Ismaili, they never tried to impose their beliefs on the public. Shortly after Queen Arwa's death, the country was split between five competing petty dynasties along religious lines. The Ayyubid dynasty overthrew the Fatimid Caliphate in Egypt. A few years after their rise to power, Saladin dispatched his brother Turan Shah to conquer Yemen in 1174. Turan Shah conquered Zabid from the Mahdids in May 1174, then marched toward Aden in June and captured it from the Zurayids. The Hamdanid sultans of Sana'a resisted the Ayyubid in 1175, and the Ayyubids did not manage to definitely secure Sana'a until 1189. The Ayyubid rule was stable in southern and central Yemen, where they succeeded in eliminating the ministates of that region, while Ismaili and Zaidi tribesmen continued to hold out in a number of fortresses. The Ayyubids failed to capture the Zaydis stronghold in northern Yemen. In 1191, Zaydis of Shibam Kawkaban rebelled and killed 700 Ayyubid soldiers. Imam Abdullah bin Hamza proclaimed the imamate in 1197 and fought al-Mu'izz Ismail, the Ayyubid Sultan of Yemen. Imam Abdullah was defeated at first, but was able to conquer Sana'a and Dhamar in 1198, and al-Mu'izz Ismail was assassinated in 1202. Abdullah bin Hamza carried on the struggle against the Ayyubid until his death in 1217. After his demise, the Zaidi community was split between two rival imams. The Zaydis were dispersed and a truce was signed with the Ayyubid in 1219. The Ayyubid army was defeated in Dhamar in 1226. Ayyubid Sultan Mas'ud Yusuf left for Mecca in 1228, never to return. Other sources suggest that he was forced to leave for Egypt instead in 1123. The dynasty is regarded as the greatest native Yemeni state since the fall of pre-Islamic Himyarite Kingdom. They were of Turkic descent. They claimed an ancient Yemenite origin to justify their rule. The Rasulids were not the first dynasty to create a fictitious genealogy for political purposes, nor were they doing anything out of the ordinary in the tribal context of Arabia. By claiming descent from a solid Yemenite tribe, the Rasulids brought Yemen to a vital sense of unity in an otherwise chaotic regional milieu. They had a difficult relationship with the Mamluks of Egypt because the latter considered them a vassal state. Their competition centred over the Hejaz and the right to provide kiswa of the Ka'aba in Mecca. The dynasty became increasingly threatened by disgruntled family members over the problem of succession, combined by periodic tribal revolts, as they were locked in a war of attrition with the Zaydi imams in the northern highlands. During the last 12 years of Rasulid rule, the country was torn between several contenders for the kingdom. The weakening of the Rasulid provided an opportunity for the Banu Taher clan to take over and establish themselves as the new rulers of Yemen in 1454 CE. The Tahirids were a local clan based in Rada'a. While they were not as impressive as their predecessors, they were still keen builders. They built schools, mosques, and irrigation channels, as well as water cisterns and bridges in Zabid, Aden, Rada'a, and Juban. Their best-known monument is the Amiriya Madrasa in Rada' District, which was built in 1504. The Tahiride were too weak either to contain the Zaydi imams or to defend themselves against foreign attacks. The Mamluks of Egypt tried to attach Yemen to Egypt and the Portuguese led by Afonso de Albuquerque, occupied Socotra and made an unsuccessful attack on Aden in 1513. The Portuguese posed an immediate threat to the Indian Ocean trade. The Mamluks of Egypt, therefore, sent an army under the command of Hussein Al-Kurdi to fight the intruders. The Mamluk sultan of Egypt sailed to Zabid in 1515 and began diplomatic talks with Tahiride Sultan 'Amir bin Abdulwahab for money that would be needed for jihād (Arabic: جِـهَـاد‎, 'struggle') against the Portuguese. Instead of confronting the Portuguese, the Mamluks, who were running out of food and water, landed their fleet on the Yemen coastline and started to harass Tihama villagers for what they needed. Realizing how rich the Tahiride realm was, they decided to conquer it. The Mamluk army, with the support of forces loyal to Zaydi Imam Al-Mutawakkil Yahya Sharaf ad-Din, conquered the entire realm of the Tahiride, but failed to capture Aden in 1517. The Mamluk victory was short-lived. The Ottoman Empire conquered Egypt, hanging the last Mamluk Sultan in Cairo. The Ottomans had not decided to conquer Yemen until 1538. The Zaydi highland tribes emerged as national heroes by offering a stiff, vigorous resistance to the Turkish occupation. The Ottomans sent yet another expeditionary force to Zabid in 1547, while Imam al-Mutawakkil Yahya Sharaf ad-Din was ruling the highlands independently. Imam al-Mutawakkil Yahya chose his son Ali to succeed him, a decision that infuriated his other son al-Mutahhar ibn Yahya. Al-Mutahhar was lame, so was not qualified for the imamate. He urged Oais Pasha, the Ottoman colonial governor in Zabid, to attack his father. Indeed, Ottoman troops supported by tribal forces loyal to Imam al-Mutahhar stormed Taiz and marched north toward Sana'a in August 1547. The Turks officially made Imam al-Mutahhar a Sanjak-bey with authority over 'Amran. Imam al-Mutahhar assassinated the Ottoman colonial governor and recaptured Sana'a, but the Ottomans, led by Özdemir Pasha, forced al-Mutahhar to retreat to his fortress in Thula. Özdemir Pasha effectively put Yemen under Ottoman rule between 1552 and 1560. He was considered a competent ruler given Yemen's notorious lawlessness, garrisoning the main cities, building new fortresses, and rendering secure the main routes. Özdemir died in Sana'a in 1561, and was succeeded by Mahmud Pasha. Unlike Özdemir's brief but able leadership, Mahmud Pasha was described by other Ottoman officials as a corrupt and unscrupulous governor. He used his authority to take over a number of castles, some of which belonged to the former Rasulid kings. Mahmud Pasha killed a Sunni scholar from Ibb. The Ottoman historian claimed that this incident was celebrated by the Zaydi Shia community in the northern highlands. Disregarding the delicate balance of power in Yemen by acting tactlessly, he alienated different groups within Yemeni society, causing them to forget their rivalries and unite against the Turks. Mahmud Pasha was displaced by Ridvan Pasha in 1564. By 1565, Yemen was split into two provinces, the highlands under the command of Ridvan Pasha and Tihama under Murad Pasha. Imam al-Mutahhar launched a propaganda campaign in which he claimed that prophet Mohammed came to him in a dream and advised him to wage jihad against the Ottomans. Al-Mutahhar led the tribes to capture Sana'a from Ridvan Pasha in 1567. When Murad tried to relieve Sana'a, highland tribesmen ambushed his unit and slaughtered all of them. Over 80 battles were fought. The last decisive encounter took place in Dhamar around 1568, in which Murad Pasha was beheaded and his head sent to al-Mutahhar in Sana'a. By 1568, only Zabid remained under the possession of the Turks. Lala Kara Mustafa Pasha, the Ottoman governor of Syria, was ordered by Selim II to suppress the Yemeni rebels. However, the Turkish army in Egypt was reluctant to go to Yemen due to their knowledge of the hegemony of the northern Yemenis. Mustafa Pasha sent a letter with two Turkish shawishes hoping to persuade al-Mutahhar to give an apology and confirm that Mustafa Pasha did not promote any act of aggression against the Ottoman army, and state that the "ignorant Arabian" according to the Turks, acted on their own. Imam al-Mutahhar refused the Ottoman offer. When Mustafa Pasha sent an expeditionary force under the command of Uthman Pasha, it was defeated with great casualties. Sultan Selim II was infuriated by Mustafa's hesitation to go Yemen. He executed a number of sanjak-beys in Egypt and ordered Sinan Pasha to lead the entire Turkish army in Egypt to reconquer Yemen. Sinan Pasha was a prominent Ottoman general of Albanian origin. He reconquered Aden, Taiz, and Ibb, and besieged Shibam Kawkaban in 1570 for seven months. The siege was lifted once a truce was reached. Imam al-Mutahhar was pushed back, but could not be entirely overcome. After al-Mutahhar's demise in 1572, the Zaydi community was not united under an imam; the Turks took advantage of their disunity and conquered Sana'a, Sa'dah, and Najran in 1583. Imam al-Nasir Hassan was arrested in 1585 and exiled to Constantinople, thereby putting an end to the Yemeni rebellion. The Zaydi tribesmen in the northern highlands particularly those of Hashid and Bakil, were ever the Turkish bugbear in all Arabia. The Ottomans who justified their presence in Yemen as a triumph for Islam, accused the Zaydis of being infidels. Hassan Pasha was appointed governor of Yemen and enjoyed a period of relative peace from 1585 to 1597. Pupils of al-Mansur al-Qasim suggested he should claim the imamate and fight the Turks. He declined at first, but the promotion of the Hanafi school of jurisprudence at the expense of Zaydi Islam infuriated al-Mansur al-Qasim. He proclaimed the imamate in September 1597, which was the same year the Ottoman authorities inaugurated al-Bakiriyya Mosque. By 1608, Imam al-Mansur (the victorious) regained control over the highlands and signed a truce for 10 years with the Ottomans. Imam al-Mansur al-Qasim died in 1620. His son Al-Mu'ayyad Muhammad succeeded him and confirmed the truce with the Ottomans. In 1627, the Ottomans lost Aden and Lahej. 'Abdin Pasha was ordered to suppress the rebels, but failed, and had to retreat to Mocha. Al-Mu'ayyad Muhammad expelled the Ottomans from Sana'a in 1628, only Zabid and Mocha remained under Ottoman possession. Al-Mu'ayyad Muhammad captured Zabid in 1634 and allowed the Ottomans to leave Mocha peacefully. The reason behind Al-Mu'ayyad Muhammad's success was the possession of firearms by the tribes and their unity behind him. In 1632, Al-Mu'ayyad Muhammad sent an expeditionary force of 1000 men to conquer Mecca. The army entered the city in triumph and killed its governor. The Ottomans were not ready to lose Mecca after Yemen, so they sent an army from Egypt to fight the Yemenites. Seeing that the Turkish army was too numerous to overcome, the Yemeni army retreated to a valley outside Mecca. Ottoman troops attacked the Yemenis by hiding at the wells that supplied them with water. This plan proceeded successfully, causing the Yemenis over 200 casualties, most from thirst. The tribesmen eventually surrendered and returned to Yemen. Al-Mu'ayyad Muhammad died in 1644. He was succeeded by Al-Mutawakkil Isma'il, another son of al-Mansur al-Qasim, who conquered Yemen in its entirety, from Asir in the north to Dhofar in the east. During his reign, and during the reign of his successor, Al-Mahdi Ahmad (1676–1681), the imamate implemented some of the harshest discriminatory laws (ghiyar) against the Jews of Yemen, which culminated in the expulsion of all Jews (Exile of Mawza) to a hot and arid region in the Tihama coastal plain. The Qasimid state was the strongest Zaydi state to ever exist. During that period, Yemen was the sole coffee producer in the world. The country established diplomatic relations with the Safavid dynasty of Persia, Ottomans of Hejaz, Mughal Empire in India, and Ethiopia, as well. Fasilides of Ethiopia sent three diplomatic missions to Yemen, but the relations did not develop into political alliance, as Fasilides had hoped, due to the rise of powerful feudalists in his country. In the first half of the 18th century, the Europeans broke Yemen's monopoly on coffee by smuggling coffee trees and cultivating them in their own colonies in the East Indies, East Africa, the West Indies, and Latin America. The imamate did not follow a cohesive mechanism for succession, and family quarrels and tribal insubordination led to the political decline of the Qasimi dynasty in the 18th century. In 1728 or 1731, the chief representative of Lahej declared himself an independent sultan in defiance of the Qasimid dynasty and conquered Aden, thus establishing the Sultanate of Lahej. The rising power of the fervently Islamist Wahhabi movement on the Arabian Peninsula cost the Zaidi state its coastal possessions after 1803. The imam was able to regain them temporarily in 1818, but new intervention by the Ottoman viceroy of Egypt in 1833 again wrested the coast from the ruler in Sana'a. After 1835, the imamate changed hands with great frequency and some imams were assassinated. After 1849, the Zaidi polity descended into chaos that lasted for decades. The British were looking for a coal depot to service their steamers en route to India. It took 700 tons of coal for a round-trip from Suez to Bombay. East India Company officials decided on Aden. The British Empire tried to reach an agreement with the Zaydi imam of Sana'a, permitting them a foothold in Mocha, and when unable to secure their position, they extracted a similar agreement from the Sultan of Lahej, enabling them to consolidate a position in Aden. An incident played into British hands when, while passing Aden for trading purposes, one of their sailing ships sank and Arab tribesmen boarded it and plundered its contents. The British India government dispatched a warship under the command of Captain Stafford Bettesworth Haines to demand compensation. 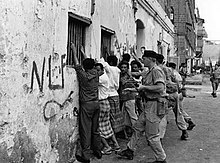 The British government concluded "protection and friendship" treaties with nine tribes surrounding Aden, whereas they would remain independent from British interference in their affairs as long as they do not conclude treaties with foreigners (non-Arab colonial powers). Aden was declared a free zone in 1850. With emigrants from India, East Africa, and Southeast Asia, Aden grew into a world city. In 1850, only 980 Arabs were registered as original inhabitants of the city. The English presence in Aden put them at odds with the Ottomans. The Turks asserted to the British that they held sovereignty over the whole of Arabia, including Yemen as successor of Mohammed and the chief of the universal caliphate. The Ottomans were concerned about the British expansion from India to the Red Sea and Arabia. They returned to the Tihama in 1849 after an absence of two centuries. Rivalries and disturbances continued among the Zaydi imams, between them and their deputies, with the ulema, with the heads of tribes, as well as with those who belonged to other sects. Some citizens of Sana'a were desperate to return law and order to Yemen and asked the Ottoman Pasha in Tihama to pacify the country. Yemeni merchants knew that the return of the Ottomans would improve their trade, for the Ottomans would become their customers. An Ottoman expedition force tried to capture Sana'a, but was defeated and had to evacuate the highlands. The Opening of the Suez Canal in 1869, strengthened the Ottoman decision to remain in Yemen. In 1872, military forces were dispatched from Constantinople and moved beyond the Ottoman stronghold in the lowlands (Tihama) to conquer Sana'a. By 1873, the Ottomans succeeded in conquering the northern highlands. Sana'a became the administrative capital of Yemen Vilayet. The Ottomans learned from their previous experience and worked on the disempowerment of local lords in the highland regions. They even attempted to secularize the Yemeni society, while Yemenite Jews came to perceive themselves in Yemeni nationalist terms. The Ottomans appeased the tribes by forgiving their rebellious chiefs and appointing them to administrative posts. They introduced a series of reforms to enhance the country's economic welfare. However, corruption was widespread in the Ottoman administration in Yemen. This was because only the worst of the officials were appointed because those who could avoid serving in Yemen did so. The Ottomans had reasserted control over the highlands for temporary duration. The so-called Tanzimat reforms were considered heretic by the Zaydi tribes. In 1876, the Hashid and Bakil tribes rebelled against the Ottomans; the Turks had to appease them with gifts to end the uprising. The tribal chiefs were difficult to appease and an endless cycle of violence curbed Ottoman efforts to pacify the land. 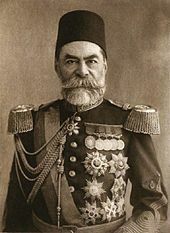 Ahmed Izzet Pasha proposed that the Ottoman army evacuate the highlands and confine itself to Tihama, and not unnecessarily burden itself with continuing military operation against the Zaydi tribes. The hit-and-run tactics of the northern highlands tribesmen wore out the Ottoman military. They resented the Turkish Tanzimat and defied all attempts to impose a central government upon them. The northern tribes united under the leadership of the House of Hamidaddin in 1890. Imam Yahya Hamidaddin led a rebellion against the Turks in 1904; the rebels disrupted the Ottoman ability to govern. The revolts between 1904 and 1911 were especially damaging to the Ottomans, costing them as many as 10,000 soldiers and as much as 500,000 pounds per year. The Ottomans signed a treaty with imam Yahya Hamidaddin in 1911. Under the treaty, Imam Yahya was recognized as an autonomous leader of the Zaydi northern highlands. The Ottomans continued to rule Shafi'i areas in the mid-south until their departure in 1918. Imam Yahya hamid ed-Din al-Mutawakkil was ruling the northern highlands independently from 1911. After the Ottoman departure in 1918, he sought to recapture the lands of his Qasimid ancestors. He dreamed of Greater Yemen stretching from Asir to Dhofar. These schemes brought him into conflict with the de facto rulers in the territories claimed, namely the Idrisids, Ibn Saud, and the British government in Aden. The Zaydi imam did not recognize the Anglo-Ottoman border agreement of 1905 on the grounds that it was made between two foreign powers occupying Yemen. The border treaty effectively divided Yemen into north and south. In 1915, the British signed a treaty with the Idrisids guaranteeing their security and independence if they would fight against the Turks. In 1919, Imam Yahya hamid ed-Din moved southward to "liberate" the nine British protectorates. The British responded by moving quickly towards Tihama and occupying al-Hudaydah. Then they handed it over to their Idrisi allies. Imam Yahya attacked the southern protectorates again in 1922. The British bombed Yahya's tribal forces using aircraft to which the tribes had no effective counter. The Italian Empire was the first to recognize Imam Yahya as the King of Yemen in 1926. This created a great deal of anxiety for the British, who interpreted it as recognition of Imam Yahya's claim to sovereignty over Greater Yemen, which included the Aden protectorate and Asir. The Idrisis turned to Ibn Saud seeking his protection from Yahya Muhammad Hamid ed-Din. However, in 1932, the Idrisis broke their accord with Ibn Saud and went back to Imam Yahya seeking help against Ibn Saud himself, who had begun liquidating their authority and expressed his desire to annex those territories into his own Saudi domain. Imam Yahya demanded the return of all Idrisi dominion. That same year, a group of Hejazi liberals fled to Yemen and plotted to expel Ibn Saud from the former Hashemite Kingdom of Hejaz, which had been conquered by the Saudis seven years earlier. Ibn Saud appealed to Britain for aid. The British government sent arms and aeroplanes . The British were anxious that Ibn Saud's financial difficulties may encourage the Italian Empire to bail him out. Ibn Saud suppressed the Asiri rebellion in 1933, after which the Idrisids fled to Sana'a. Negotiations between the Imam Yahya Hamid ed-Din and Ibn Saud proved fruitless. After a military confrontation, Ibn Saud announced a ceasefire in May 1934. Imam Yahya agreed to release Saudi hostages and the surrender of the Idrisis to Saudi custody. Imam Yahya ceded the three provinces of Najran, Asir, and Jazan for 20 years. and signed another treaty with the British government in 1934. The imam recognized the British sovereignty over Aden protectorate for 40 years. Out of fear for Hudaydah, Yahya did submit to these demands. According to Bernard Reich, Professor of Political Science and International Affairs at George Washington University, Yahya could have done better by reorganizing the Zaydi tribes of the northern highlands as his ancestors did against the Turks and British intruders and turn the lands they captured into another graveyard. Starting in 1890, hundreds of Yemeni people from Hajz, Al-Baetha, and Taiz migrated to Aden to work at ports, and as laborers. This helped the population of Aden once again become predominantly Arab after, having been declared a free zone, it had become mostly foreigners. During World War II, Aden had increasing economic growth and became the second-busiest port in the world after New York City. After the rise of labour unions, a rift was apparent between the sectors of workers and the first signs of resistance to the occupation started in 1943. Muhammad Ali Luqman founded the first Arabic club and school in Aden, and was the first to start working towards a union. The Colony of Aden was divided into an eastern colony and a western colony. Those were further divided into 23 sultanates and emirates, and several independent tribes that had no relationships with the sultanates. The deal between the sultanates and Britain detailed protection and complete control of foreign relations by the British. The Sultanate of Lahej was the only one in which the sultan was referred to as His Highness. The Federation of South Arabia was created by the British to counter Arab nationalism by giving more freedom to the rulers of the nations. The North Yemen Civil War inspired many in the south to rise against the British rule. The National Liberation Front (NLO) of Yemen was formed with the leadership of Qahtan Muhammad Al-Shaabi. The NLO hoped to destroy all the sultanates and eventually unite with the Yemen Arab Republic. Most of the support for the NLO came from Radfan and Yafa, so the British launched Operation Nutcracker, which completely burned Radfan in January 1964. Arab nationalism made an impact in some circles who opposed the lack of modernization efforts in the Mutawakkilite monarchy. This became apparent when Imam Ahmad bin Yahya died in 1962. He was succeeded by his son, but army officers attempted to seize power, sparking the North Yemen Civil War. The Hamidaddin royalists were supported by Saudi Arabia, Britain, and Jordan (mostly with weapons and financial aid, but also with small military forces), whilst the military rebels were backed by Egypt. Egypt provided the rebels with weapons and financial assistance, but also sent a large military force to participate in the fighting. Israel covertly supplied weapons to the royalists to keep the Egyptian military busy in Yemen and make Nasser less likely to initiate a conflict in the Sinai. 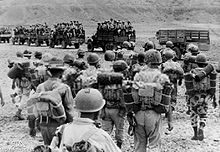 After six years of civil war, the military rebels were victorious (February 1968) and formed the Yemen Arab Republic. The revolution in the north coincided with the Aden Emergency, which hastened the end of British rule in the south. On 30 November 1967, the state of South Yemen was formed, comprising Aden and the former Protectorate of South Arabia. This socialist state was later officially known as the People's Democratic Republic of Yemen and a programme of nationalisation was begun. Relations between the two Yemeni states fluctuated between peaceful and hostile. The South was supported by the Eastern bloc. The North, however, was not able to get the same connections. In 1972, the two states fought a war. The war was resolved with a ceasefire and negotiations brokered by the Arab League, where it was declared that unification would eventually occur. In 1978, Ali Abdullah Saleh was named as president of the Yemen Arab Republic. After the war, the North complained about the South's help from foreign countries. This included Saudi Arabia. Thousands were killed in 1986 in the South Yemen Civil War. President Ali Nasser Muhammad fled to the north and was later sentenced to death for treason. A new government formed. After the invasion of Kuwait crisis in 1990, Yemen's president opposed military intervention from non-Arab states. As a member of the United Nations Security Council for 1990 and 1991, Yemen abstained on a number of UNSC resolutions concerning Iraq and Kuwait and voted against the "...use of force resolution." The vote outraged the U.S. Saudi Arabia expelled 800,000 Yemenis in 1990 and 1991 to punish Yemen for its opposition to the intervention. In the absence of strong state institutions, elite politics in Yemen constituted a de facto form of collaborative governance, where competing tribal, regional, religious, and political interests agreed to hold themselves in check through tacit acceptance of the balance it produced. The informal political settlement was held together by a power-sharing deal among three men: President Saleh, who controlled the state; major general Ali Mohsen al-Ahmar, who controlled the largest share of the Republic of Yemen Armed Forces; and Abdullah ibn Husayn al-Ahmar, figurehead of the Islamist al-Islah party and Saudi Arabia's chosen broker of transnational patronage payments to various political players, including tribal sheikhs. The Saudi payments have been intended to facilitate the tribes' autonomy from the Yemeni government and to give the Saudi government a mechanism with which to weigh in on Yemen's political decision-making. An accord between northern and southern leaders was signed in Amman, Jordan on 20 February 1994, but this could not stop the civil war. During these tensions, both the northern and southern armies (which had never integrated) gathered on their respective frontiers. The May – July 1994 civil war in Yemen resulted in the defeat of the southern armed forces and the flight into exile of many Yemeni Socialist Party leaders and other southern secessionists. Saudi Arabia actively aided the south during the 1994 civil war. "Sana'a risks becoming the first capital in the world to run out of a viable water supply as Yemen's streams and natural aquifers run dry," says The Guardian. Ali Abdullah Saleh became Yemen's first directly elected president in the 1999 presidential election, winning 96.2 per cent of the vote. :310 The only other candidate, Najeeb Qahtan Al-Sha'abi, was the son of Qahtan Muhammad al-Shaabi, a former president of South Yemen. Though a member of Saleh's General People's Congress (GPC) party, Najeeb ran as an independent. In October 2000, 17 U.S. personnel died after a suicide attack on the U.S. naval vessel USS Cole in Aden, which was subsequently blamed on al-Qaeda. After the September 11 attacks on the United States, President Saleh assured U.S. President George W. Bush that Yemen was a partner in his War on Terror. In 2001, violence surrounded a referendum, which apparently supported extending Saleh's rule and powers. The Shia insurgency in Yemen began in June 2004 when dissident cleric Hussein Badreddin al-Houthi, head of the Zaidi Shia sect, launched an uprising against the Yemeni government. The Yemeni government alleged that the Houthis were seeking to overthrow it and to implement Shī'ite religious law. The rebels counter that they are "defending their community against discrimination" and government aggression. In the 2006 presidential election, held on 20 September, Saleh won with 77.2% of the vote. His main rival, Faisal bin Shamlan, received 21.8%. Saleh was sworn in for another term on 27 September. A suicide bomber killed eight Spanish tourists and two Yemenis in the province of Marib in July 2007. A series of bomb attacks occurred on police, official, diplomatic, foreign business, and tourism targets in 2008. Car bombings outside the U.S. embassy in Sana'a killed 18 people, including six of the assailants in September 2008. In 2008, an opposition rally in Sana'a demanding electoral reform was met with police gunfire. In January 2009, the Saudi Arabian and Yemeni al-Qaeda branches merged to form Al-Qaeda in the Arabian Peninsula, which is based in Yemen, and many of its members were Saudi nationals who had been released from Guantanamo Bay. Saleh released 176 al-Qaeda suspects on condition of good behaviour, but terrorist activities continued. The Yemeni army launched a fresh offensive against the Shia insurgents in 2009, assisted by Saudi forces. Tens of thousands of people were displaced by the fighting. A new ceasefire was agreed upon in February 2010. However, by the end of the year, Yemen claimed that 3,000 soldiers had been killed in renewed fighting. The Shia rebels accused Saudi Arabia of providing support to salafi groups to suppress Zaidism in Yemen. Some news reports have suggested that, on orders from U.S. President Barack Obama, U.S. warplanes fired cruise missiles at what officials in Washington claimed were Al Qaeda training camps in the provinces of Sana'a and Abyan on 17 December 2009. Instead of hitting Al-Qaeda operatives, it hit a village, killing 55 civilians. Officials in Yemen said that the attacks claimed the lives of more than 60 civilians, 28 of them children. Another airstrike was carried out on 24 December. The U.S. launched a series of drone attacks in Yemen to curb a perceived growing terror threat due to political chaos in Yemen. Since December 2009, U.S. strikes in Yemen have been carried out by the U.S. military with intelligence support from the CIA. The drone strikes are protested by human-rights groups who say they kill innocent civilians, and that the U.S. military and CIA drone strikes lack sufficient congressional oversight, including the choice of human targets suspected of being threats to America. Controversy over U.S. policy for drone attacks mushroomed after a September 2011 drone strike in Yemen killed Anwar al-Awlaki and Samir Khan, both U.S. citizens. Another drone strike in October 2011 killed Anwar's teenaged son, Abdulrahman al-Awlaki. As of 2015[update], Shi'a Houthis are fighting against the Islamic State, Al Qaeda, and Saudi Arabia. The U.S. supports the Saudi-led military intervention in Yemen against the Houthis, but many in US SOCOM reportedly favor Houthis, as they have been an effective force to roll back al-Qaeda and recently ISIL in Yemen. The Guardian reported that "The only groups poised to benefit from the war dragging on are the jihadis of Islamic State (ISIL) and al-Qaida in the Arabian Peninsula (AQAP), the latter's most powerful franchise, who are likely to gain influence amid the chaos. ISIL has claimed recent, bloody suicide bombings in Houthi mosques and Sana'a when it once had no known presence in the country, while AQAP has continued to seize territory in eastern Yemen unhindered by American drone strikes." In February 2016 Al-Qaeda forces and Saudi-led coalition forces were both seen fighting Houthi rebels in the same battle. The 2011 Yemeni revolution followed other Arab Spring mass protests in early 2011. The uprising was initially against unemployment, economic conditions, and corruption, as well as against the government's proposals to modify the constitution of Yemen so that Saleh's son could inherit the presidency. In March 2011, police snipers opened fire on the pro-democracy camp in Sana'a, killing more than 50 people. In May, dozens were killed in clashes between troops and tribal fighters in Sana'a. By this point, Saleh began to lose international support. In October 2011, Yemeni human rights activist Tawakul Karman won the Nobel Peace Prize, and the UN Security Council condemned the violence and called for a transfer of power. On 23 November 2011, Saleh flew to Riyadh, in neighbouring Saudi Arabia, to sign the Gulf Co-operation Council plan for political transition, which he had previously spurned. Upon signing the document, he agreed to legally transfer the office and powers of the presidency to his deputy, Vice President Abdrabbuh Mansur Hadi. Hadi took office for a two-year term upon winning the uncontested presidential elections in February 2012. A unity government – including a prime minister from the opposition – was formed. Al-Hadi will oversee the drafting of a new constitution, followed by parliamentary and presidential elections in 2014. Saleh returned in February 2012. In the face of objections from thousands of street protesters, parliament granted him full immunity from prosecution. Saleh's son, General Ahmed Ali Abdullah Saleh, continues to exercise a strong hold on sections of the military and security forces. AQAP claimed responsibility for a February 2012 suicide attack on the presidential palace that killed 26 Republican Guards on the day that President Hadi was sworn in. AQAP was also behind a suicide bombing that killed 96 soldiers in Sana'a three months later. In September 2012, a car bomb attack in Sana'a killed 11 people, a day after a local al-Qaeda leader Said al-Shihri was reported killed in the south. By 2012, there has been a "small contingent of U.S. special-operations troops" – in addition to CIA and "unofficially acknowledged" U.S. military presence – in response to increasing terror attacks by AQAP on Yemeni citizens. Many analysts have pointed out the former Yemeni government role in cultivating terrorist activity in the country. Following the election of new president Abdrabbuh Mansur Hadi, the Yemeni military was able to push Ansar al-Sharia back and recapture the Shabwah Governorate. The central government in Sana'a remained weak, staving off challenges from southern separatists and Shia rebels as well as AQAP. The Shia insurgency intensified after Hadi took power, escalating in September 2014 as anti-government forces led by Abdul-Malik al-Houthi swept into the capital and forced Hadi to agree to a "unity" government. The Houthis then refused to participate in the government, although they continued to apply pressure on Hadi and his ministers, even shelling the president's private residence and placing him under house arrest, until the government's mass resignation in January 2015. The following month, the Houthis dissolved parliament and declared that a Revolutionary Committee under Mohammed Ali al-Houthi was the interim authority in Yemen. Abdul-Malik al-Houthi, a cousin of the new acting president, called the takeover a "glorious revolution." However, the "constitutional declaration" of 6 February 2015 was widely rejected by opposition politicians and foreign governments, including the United Nations. Hadi managed to flee from Sana'a to Aden, his hometown and stronghold in the south, on 21 February 2015. He promptly gave a televised speech rescinding his resignation, condemning the coup, and calling for recognition as the constitutional president of Yemen. The following month, Hadi declared Aden Yemen's "temporary" capital. The Houthis, however, rebuffed an initiative by the Gulf Cooperation Council and continued to move south toward Aden. All U.S. personnel were evacuated and President Hadi was forced to flee the country to Saudi Arabia. On 26 March 2015, Saudi Arabia announced Operation Decisive Storm and began airstrikes and announced its intentions to lead a military coalition against the Houthis, whom they claimed were being aided by Iran, and began a force buildup along the Yemeni border. The coalition included the United Arab Emirates, Kuwait, Qatar, Bahrain, Jordan, Morocco, Sudan, Egypt, and Pakistan. The United States announced that it was assisting with intelligence, targeting, and logistics. Saudi Arabia and Egypt would not rule out ground operations. After Hadi troops took control of Aden from Houthis, jihadist groups are active in the city, and some of terrorist incidents were linked to it such as Missionaries of Charity attack in Aden in 4 March 2016. Since February 2018, Aden has been seized by the UAE-backed separatist Southern Transitional Council. More than 50,000 children in Yemen died from starvation in 2017. The famine in Yemen is the direct result of the Saudi Arabian-led intervention in Yemen and blockade of Yemen. The famine is being compounded by an outbreak of cholera that has affected more than 1 million people. Yemen is in Western Asia, in the southern part of the Arabian Peninsula, bordering the Arabian Sea, Gulf of Aden, and the Red Sea. It lies south of Saudi Arabia and west of Oman, between latitudes 12 and 19°N and longitudes 42 and 55°E. Yemen is at 15°N 48°E﻿ / ﻿15°N 48°E﻿ / 15; 48. Yemen is 527,970 km2 (203,850 sq mi) in size. A number of Red Sea islands, including the Hanish Islands, Kamaran, and Perim, as well as Socotra in the Arabian Sea, belong to Yemen; the largest of these is Socotra. Many of the islands are volcanic; for example Jabal al-Tair had a volcanic eruption in 2007, and before that in 1883. Although mainland Yemen is in the southern Arabian Peninsula and thus part of Asia, and its Hanish Islands and Perim in the Red Sea are associated with Asia, the archipelago of Socotra, which lies east of the horn of Somalia and is much closer to Africa than to Asia, is part of Africa,[not in citation given] thus making Yemen a transcontinental country. Yemen can be divided geographically into four main regions: the coastal plains in the west, the western highlands, the eastern highlands, and the Rub' al Khali in the east. The Tihāmah ("hot lands" or "hot earth") form a very arid and flat coastal plain along Yemen's entire Red Sea coastline. Despite the aridity, the presence of many lagoons makes this region very marshy and a suitable breeding ground for malaria mosquitos. Extensive crescent-shaped sand dunes are present. The evaporation in the Tihamah is so great that streams from the highlands never reach the sea, but they do contribute to extensive groundwater reserves. Today, these are heavily exploited for agricultural use. Near the village of Madar about 50 km (30 mi) north of Sana'a, dinosaur footprints were found, indicating that the area was once a muddy flat. The Tihamah ends abruptly at the escarpment of the western highlands. This area, now heavily terraced to meet the demand for food, receives the highest rainfall in Arabia, rapidly increasing from 100 mm (3.9 in) per year to about 760 mm (29.9 in) in Taiz and over 1,000 mm (39.4 in) in Ibb. Temperatures are hot in the day, but fall dramatically at night. Perennial streams occur in the highlands, but these never reach the sea because of high evaporation in the Tihamah. The central highlands are an extensive high plateau over 2,000 m (6,562 ft) in elevation. This area is drier than the western highlands because of rain-shadow influences, but still receives sufficient rain in wet years for extensive cropping. Water storage allows for irrigation and the growing of wheat and barley. Sana'a is in this region. The highest point in Yemen and Arabia is Jabal An-Nabi Shu'ayb, at about 3,666 m (12,028 ft). Yemen's portion of the Rub al Khali desert in the east is much lower, generally below 1,000 m (3,281 ft), and receives almost no rain. It is populated only by Bedouin herders of camels. The growing scarcity of water is a source of increasing international concern. See Water supply and sanitation in Yemen. A South Arabian relief from the 5th century BC, in Walters Art Museum. On the left side of this relief, a lion attacks a gazelle, while a rabbit tries to jump away from the gazelle's forelegs. On the right, a leopard jumps down from rocks onto the back of an ibex; a small rodent flees the hoofs of the ibex. Birds in the branches of acacia trees observe the two scenes. The flora of Yemen is a mixture of the tropical African, Sudanian plant geographical region and the Saharo-Arabian region. The Sudanian element—characterized by relatively high rainfall—dominates the western mountains and parts of the highland plains. The Saharo-Arabian element dominates in the coastal plains, eastern mountain, and the eastern and northern desert plains. A high percentage of Yemen plants belong to tropical African plants of Sudanian regions. Among the Sudanian element species, the following may be mentioned: Ficus spp., Acacia mellifera, Grewia villosa, Commiphora spp., Rosa abyssinica, Cadaba farinosa and others. Among the Saharo-Arabian species, these may be mentioned: Panicum turgidum, Aerva javanica, Zygophyllum simplex, Fagonia indica, Salsola spp., Acacia tortilis, A. hamulos, A. ehrenbergiana, Phoenix dactylifera, Hyphaene thebaica, Capparis decidua, Salvadora persica, Balanites aegyptiaca, and many others. Many of the Saharo-Arabian species are endemic to the extensive sandy coastal plain (the Tihamah). The characteristic genera of the Irano-Turanian in the eastern and northern east of the country are: Calligonum spp., Cymbopogon jwarancusa, and Tamarix spp. and of the Mediterranean regions are: Teucrium, Lavandula, Juniperus, Brassica, and Diplotaxis spp. Among the fauna, the Arabian leopard, which would inhabit the mountains, is considered rare here. The Yemeni government has been divided in two since 2014, when a Shi'ite group known as the Houthis seized control of the capital Sana'a. After months of tense coexistence, the Houthis made a constitutional declaration in early 2015 that placed them in de facto control of the government. President Abdrabbuh Mansour Hadi fled the capital to the southern city of Aden, former capital of South Yemen, and eventually evacuated to Saudi Arabia. With the support of the Saudis and other Gulf states, Hadi remains the official leader of a provisional government based in Aden. The Houthis have struggled to achieve international legitimacy, with most countries continuing to recognize Hadi as Yemen's president, despite the formation of a "national salvation" government in 2016 without the cooperation of the Hadi administration. De jure, Yemen is a republic with a bicameral legislature. Under the 1991 constitution, an elected President, an elected 301-seat Assembly of Representatives, and an appointed 111-member Shura Council share power. The President is the head of state, and the Prime Minister is the head of government. In Sana'a, a Supreme Political Council (not recognized internationally) forms the government. President Ali Abdullah Saleh became the first elected president in reunified Yemen in 1999 (though he had been president of unified Yemen since 1990 and president of North Yemen since 1978). He was re-elected to office in September 2006. Saleh's victory was marked by an election that international observers judged was "partly free," though the election was accompanied by violence, violations of press freedoms, and allegations of fraud. Parliamentary elections were held in April 2003, and the General People's Congress maintained an absolute majority. Saleh remained almost uncontested in his seat of power until 2011, when local frustration at his refusal to hold another round of elections, as combined with the impact of the 2011 Arab Spring, resulted in mass protests. In 2012, he was forced to resign from power, though he remained an important actor in Yemeni politics, allying with the Houthis during their takeover in the mid-2010s. The Soviet and Chinese Aid Missions established in 1958 and 1959 were the first important non-Muslim presences in North Yemen. 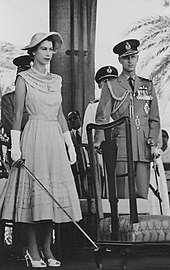 Following the September 1962 revolution, the Yemen Arab Republic became closely allied with and heavily dependent upon Egypt. Saudi Arabia aided the royalists in their attempt to defeat the Republicans and did not recognize the Yemen Arab Republic until 1970. At the same time, Saudi Arabia maintained direct contact with Yemeni tribes, which sometimes strained its official relations with the Yemeni Government. Saudi Arabia remained hostile to any form of political and social reform in Yemen and continued to provide financial support for tribal elites. In February 1989, North Yemen joined Iraq, Jordan, and Egypt in forming the Arab Cooperation Council (ACC), an organization created partly in response to the founding of the Gulf Cooperation Council and intended to foster closer economic cooperation and integration among its members. After unification, the Republic of Yemen was accepted as a member of the ACC in place of its YAR predecessor. In the wake of the Persian Gulf crisis, the ACC has remained inactive. Yemen is not a member of the Gulf Cooperation Council mainly for its republican government. Yemen is a member of the United Nations, the Arab League, and the Organisation of Islamic Cooperation, and also participates in the nonaligned movement. The Republic of Yemen accepted responsibility for all treaties and debts of its predecessors, the Yemen Arab Republic (YAR) and the People's Democratic Republic of Yemen (PDRY). Yemen has acceded to the Treaty on the Non-Proliferation of Nuclear Weapons. Since the end of the 1994 civil war, tangible progress has been made on the diplomatic front in restoring normal relations with Yemen's neighbors. In the summer of 2000, Yemen and Saudi Arabia signed an International Border Treaty settling a 50-year-old dispute over the location of the border between the two countries. Until the signing of the Yemen-Saudi Arabia peace treaty in July 2000, Yemen's northern border was undefined; the Arabian Desert prevented any human habitation there. Yemen settled its dispute with Eritrea over the Hanish Islands in 1998. The Saudi – Yemen barrier was constructed by Saudi Arabia against an influx of illegal immigrants and against the smuggling of drugs and weapons. The Independent headed an article with "Saudi Arabia, one of the most vocal critics in the Arab world of Israel's "security fence" in the West Bank, is quietly emulating the Israeli example by erecting a barrier along its porous border with Yemen." The U.S. Committee for Refugees and Immigrants reported several violations of refugee and asylum seekers' rights in the organization's 2008 World Refugee Survey. Yemeni authorities reportedly deported numerous foreigners without giving them access to the United Nations High Commissioner for Refugees, despite the UN's repeated requests. Refugees further reported violence directed against them by Yemeni authorities while living in refugee camps. Yemeni officials reportedly raped and beat camp-based refugees with impunity in 2007. Yemen is ranked last of 135 countries in the 2012 Global Gender Gap Report. Human Rights Watch reported on discrimination and violence against women as well as on the abolition of the minimum marriage age of fifteen for women. The onset of puberty (interpreted by some to be as low as the age of nine) was set as a requirement for marriage instead. Publicity about the case of ten-year-old Yemeni divorcee Nujood Ali brought the child marriage issue to the fore not only in Yemen but also worldwide. The United States Department of State 2013 Trafficking in Persons report classified Yemen as a Tier 3 country, meaning that its government does not fully comply with the minimum standards against human trafficking and is not making significant efforts to do so. 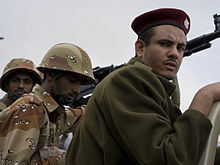 Soldiers of the Yemeni Army in 2011. The armed forces of Yemen include the Yemen Army (includes Republican Guard), Navy (includes Marines), Yemeni Air Force (Al Quwwat al Jawwiya al Yamaniya; includes Air Defense Force). A major reorganization of the armed forces continues. The unified air forces and air defenses are now under one command. The navy has concentration in Aden. Total armed forces manning numbers about 401,000 active personnel, including moreover especially conscripts. The Yemen Arab Republic and The People's Democratic Republic of Yemen joined to form the Republic of Yemen on 22 May 1990. The supreme commander of the armed forces is the President of the Republic of Yemen. As of the end of 2004, Yemen was divided into twenty governorates (muhafazat – the latest being Raymah Governorate, which was created during 2004) plus one municipality called "Amanat Al-Asemah" (the latter containing the constitutional capital, Sana'a). An additional governorate (Soqatra Governorate) was created in December 2013 comprising Socotra Island (bottom-right corner of map), previously part of Hadramaut Governorate. The governorates are subdivided into 333 districts (muderiah), which are subdivided into 2,210 sub-districts, and then into 38,284 villages (as of 2001). In 2014, a constitutional panel decided to divide the country into six regions—four in the north, two in the south, and capital Sana'a outside of any region—creating a federalist model of governance. This federal proposal was a contributing factor toward the Houthis' subsequent coup d'état against the government. Most Yemenis are employed in agriculture. Sorghum is the most common crop. Cotton and many fruit trees are also grown, with mangoes being the most valuable. A big problem in Yemen is the cultivation of Khat (or qat), a psychoactive plant that releases a stimulant when chewed, and accounts for up to 40 percent of the water drawn from the Sana'a Basin each year, and that figure is rising. Some agricultural practices are drying the Sana'a Basin and displaced vital crops, which has resulted in increasing food prices. Rising food prices, in turn, pushed an additional six percent of the country into poverty in 2008 alone. Efforts are being made by the Government and Dawoodi Bohra community at North Yemen to replace qat with coffee plantations. Yemen's industrial sector is centred on crude oil production and petroleum refining, food processing, handicrafts, small-scale production of cotton textiles and leather goods, aluminum products, commercial ship repair, cement, and natural gas production. In 2013, Yemen had an industrial production growth rate of 4.8%. It also has large proven reserves of natural gas. Yemen's first liquified natural gas plant began production in October 2009. Beginning in the mid-1950s, the Soviet Union and China provided large-scale assistance. For example, China and the United States are involved with the expansion of the Sana'a International Airport. In the south, pre-independence economic activity was overwhelmingly concentrated in the port city of Aden. The seaborne transit trade, which the port relied upon, collapsed with the closure of the Suez Canal and Britain's withdrawal from Aden in 1967. Since the conclusion of the war, the government made an agreement with the International Monetary Fund (IMF) to implement a structural adjustment program. Phase one of the program included major financial and monetary reforms, including floating the currency, reducing the budget deficit, and cutting subsidies. Phase two addresses structural issues, such as civil service reform. A key challenge is severe water scarcity, especially in the Highlands, prompting The Times to write "Yemen could become first nation to run out of water." A second key challenge is a high level of poverty, making it difficult to recover the costs of service provision. Access to water supply sanitation is as low as in some sub-Saharan African countries. Yemen is both the poorest country and the most water-scarce country in the Arab world. Third, the capacity of sector institutions to plan, build, operate and maintain infrastructure remains limited. Last but not least the security situation makes it even more difficult to improve or even maintain existing levels of service. Due to the 2015 Yemeni Civil War, the situation is increasingly dire. 80% of Yemen's population struggles to access water to drink and bathe. Bombing has forced many Yemenis to leave their homes for other areas, and so wells in those areas are under increasing pressure. Yemen's population is 28 million by 2016 estimates, with 46% of the population being under 15 years old and 2.7% above 65 years. In 1950, it was 4.3 million. By 2050, the population is estimated to increase to about 60 million. Yemen has a high total fertility rate, at 4.45 children per woman. It is the 30th highest in the world. Sana'a's population has increased rapidly, from roughly 55,000 in 1978 to nearly 2 million in the early 21st century. Yemeni ethnic groups are predominantly Arabs, followed by Afro-Arabs, South Asians and Europeans. When the former states of North and South Yemen were established, most resident minority groups departed. Yemen is a largely tribal society. In the northern, mountainous parts of the country, there are 400 Zaidi tribes. There are also hereditary caste groups in urban areas such as Al-Akhdam. There are also Yemenis of Persian origin. According to Muqaddasi, Persians formed the majority of Aden's population in the 10th century. Yemenite Jews once formed a sizable minority in Yemen with a distinct culture from other Jewish communities in the world. Most emigrated to Israel in the mid-20th century, following the Jewish exodus from Arab and Muslim countries and Operation Magic Carpet. An estimated 100,000 people of Indian origin are concentrated in the southern part of the country, around Aden, Mukalla, Shihr, Lahaj, Mokha and Hodeidah. Most of the prominent Indonesians, Malaysians, and Singaporeans of Arab descent are Hadhrami people with origins in southern Yemen in the Hadramawt coastal region. Today there are almost 10,000 Hadramis in Singapore. The Hadramis migrated to Southeast Asia, East Africa and the Indian subcontinent. The Yemeni diaspora is largely concentrated in neighbouring Saudi Arabia, where between 800,000 and 1 million Yemenis reside, and the United Kingdom, home to between 70,000 and 80,000 Yemenis. Modern Standard Arabic is the official language of Yemen, while Yemeni Arabic is used as the vernacular. In al Mahrah Governorate in the far east and the island of Socotra, several non-Arabic languages are spoken. Yemeni Sign Language is used by the deaf community. Yemen is part of homeland of the South Semitic languages. Mehri is the largest South Semitic language spoken in the nation, with more than 70,000 speakers. The ethnic group itself is called Mahra. Soqotri is another South Semitic language, with speakers on the island of Socotra isolated from the pressures of Arabic on the Yemeni mainland. 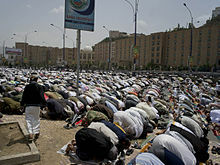 According to the 1990 census in Yemen, the number of speakers there was 57,000. Yemen was also home of the Old South Arabian languages. The Razihi language appears to be the only remaining Old South Arabian language. English is the most important foreign language, being widely taught and spoken mostly in the south, a former British colony. There are a significant number of Russian speakers, originating from Yemeni-Russian cross-marriages occurring mainly in the 1970s and 1980s. A small Cham-speaking community is found in the capital city of Sana'a, originating from refugees expatriated from Vietnam after the Vietnam War in the 1970s. Estimates of the number of Christians in Yemen range from 25,000 to 41,000. A 2015 study estimates 400 Christians from a Muslim background in the country. There are approximately 50 Jews left in Yemen. Some 200 Yemenite Jews were brought to Israel by the Jewish Agency circa 2016. Radio broadcasting in Yemen began in the 1940s when it was still divided into the South by the British and the North by the Imami ruling system. After the unification of Yemen in 1990, the Yemeni government reformed its corporations and founded some additional radio stations that broadcast locally. However, it drew back after 1994, due to destroyed infrastructure resulting from the civil war. The Yemeni film industry is in its early stages; only two Yemeni films have been released as of 2008[update]. The history of Yemeni theatre dates back at least a century, to the early 1900s. Both amateur and professional (government-sponsored) theatre troupes perform in the country's major urban centres. Many of Yemen's significant poets and authors, like Ali Ahmed Ba Kathir, Muhammad al-Sharafi, and Wajdi al-Ahdal, have written dramatic works; poems, novels, and short stories by Yemeni authors like Mohammad Abdul-Wali and Abdulaziz Al-Maqaleh have also been adapted for the stage. There have been Yemeni productions of plays by Arab authors such as Tawfiq al-Hakim and Saadallah Wannous and by Western authors, including Shakespeare, Pirandello, Brecht, and Tennessee Williams. Historically speaking, the southern port city of Aden is the cradle of Yemeni theatre; in recent decades the capital, Sana'a, has hosted numerous theatre festivals, often in conjunction with World Theatre Day. Football is the most popular sport in Yemen. The Yemen Football Association is a member of FIFA and AFC. The Yemeni national football team participates internationally. The country also hosts many football clubs. They compete in the national and international leagues. Yemen's mountains provide many opportunities for outdoor sports, such as biking, rock climbing, trekking, hiking, and other more challenging sports, including mountain climbing. Mountain climbing and hiking tours to the Sarawat Mountains, including peaks of 3,000 m (9,800 ft) and above, particularly that of An-Nabi Shu'ayb, are seasonally organized by local and international alpine agencies. The coastal areas of Yemen and Socotra island also provide many opportunities for water sports, such as surfing, bodyboarding, sailing, swimming, and scuba diving. Socotra island is home to some of the best surfing destinations in the world. Camel jumping is a traditional sport that is becoming increasingly popular among the Zaraniq tribe on the west coast of Yemen in a desert plain by the Red Sea. Camels are placed side to side and victory goes to the competitor who leaps, from a running start, over the most camels. The jumpers train year round for competitions. Tribesmen (women may not compete) tuck their robes around their waists for freedom of movement while running and leaping. Yemen's biggest sports event was hosting the 20th Arabian Gulf Cup in Aden and Abyan in the southern part of the country on 22 November 2010. Many thought Yemen was the strongest competitor, but it was defeated in the first three matches of the tournament. Internationally, Naseem Hamed, a world champion boxer, is the most well known Yemeni athlete. 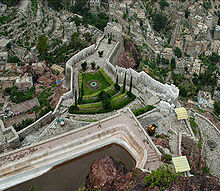 Among Yemen's natural and cultural attractions are four World Heritage sites. 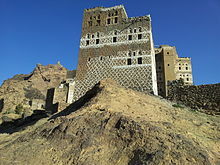 The Old Walled City of Shibam in Wadi Hadhramaut, inscribed by UNESCO in 1982, two years after Yemen joined the World Heritage Committee, is nicknamed "Manhattan of the Desert" because of its "skyscrapers." Surrounded by a fortified wall made of mud and straw, the 16th-century city is one of the oldest examples of urban planning based on the principle of vertical construction. The latest addition to Yemen's list of World Heritage Sites is the Socotra Archipelago. Mentioned by Marco Polo in the 13th century, this remote and isolated archipelago consists of four islands and two rocky islets delineating the southern limit of the Gulf of Aden. The site has a rich biodiversity. Nowhere else in the world do 37% of Socotra's 825 plants, 90% of its reptiles and 95% of its snails occur. It is home to 192 bird species, 253 species of coral, 730 species of coastal fish, and 300 species of crab and lobster, as well as a range of Aloes and the Dragon's Blood Tree (Dracaena cinnabari). The cultural heritage of Socotra includes the unique Soqotri language. According to the Webometrics Ranking of World Universities, the top-ranking universities in the country are the Yemeni University of Science & Technology (6532nd worldwide), Al Ahgaff University (8930th) and Sanaa University (11043rd). According to 2009 estimates, life expectancy in Yemen is 63.27 years. Despite the significant progress Yemen has made to expand and improve its health care system over the past decade, the system remains severely underdeveloped. Total expenditures on health care in 2004 constituted 5% of gross domestic product. In that same year, the per capita expenditure for health care was very low compared with other Middle Eastern countries – US$34 per capita according to the World Health Organization. In 1950, the child mortality rate for Yemen rose to 250.2 children per 1000 infants born. Yemen has made significant progress since 1950; as of 2015, the child mortality rate has dropped to 44.52 children per 1000 infants born. With an ongoing cholera outbreak ravaging Yemen, the death toll of children rises. As of 2018, more than 20 million Yemeni people are in need of humanitarian assistance, 9 million being children. Currently every 10 minutes, a child dies from preventable causes. Malnutrition is one of the leading causes of child mortality. As of 2018, about 2 million Yemeni children suffer from acute malnutrition due to the civil war consuming their nation's economy. Geographically, Yemen also consists of the worlds most depleted water sources. According to UNICEF, nearly 462,000 children are reported suffering from Severe Acute Malnutrition. As of November 21, 2018, an estimated 85,000 children have died under the age of five due to acute malnutrition throughout the three-year-long war. This number does not include children missing, displaced, or currently medically unstable. ^ "GINI index (World Bank estimate)". World Bank. Retrieved 15 October 2017. ^ "Yemen". International News Safety Institute. Archived from the original on 5 May 2010. Retrieved 14 October 2009. ^ "Yemen: World Bank Projects To Promote Water Conservation, Enhance Access To Infrastructure And Services For Poor". World Bank. Retrieved 15 February 2014. ^ "Yemen | Middle East and North Africa". UN OCHA. Archived from the original on 11 March 2017. Retrieved 11 March 2017. ^ "Transparency International's 2009 corruption index: the full ranking of 180 countries". Transparency international. 17 November 2009. Retrieved 2 February 2014. ^ a b Burrowes, Robert D. (2010). Historical Dictionary of Yemen. Rowman & Littlefield. p. 319. ISBN 9780810855281. ^ Burrowes, Robert. "Why Most Yemenis Should Despise Ex-president Ali Abdullah Saleh". Yemen Times. Retrieved 20 August 2015. ^ Mareike Transfeld (2014). "Capturing Sanaa: Why the Houthis Were Successful in Yemen". Muftah. Retrieved 17 October 2014. ^ STEVEN A. ZYCK (2014). "Mediating Transition in Yemen: Achievements and Lessons" (PDF). International Peace Institute. Retrieved 17 October 2014. ^ Silvana Toska (26 September 2014). "Shifting balances of power in Yemen's crisis". The Washington Post. Retrieved 24 October 2014. ^ a b "Houthi leader vows to defend 'glorious revolution'". Al Jazeera. 8 February 2015. Retrieved 7 February 2015. ^ Aboueldahab, Noha. "Yemen's fate was sealed six years ago". www.aljazeera.com. ^ "The Yemen war death toll is five times higher than we think – we can't shrug off our responsibilities any longer". The Independent. 26 October 2018. ^ Bin Javaid, Osama (25 April 2017). "A cry for help: Millions facing famine in Yemen". Al-Jazeera. Retrieved 28 June 2017. ^ a b "Yemen. Cholera Response. Weekly Epidemiological Bulletin" (PDF). 19 December 2017. ^ "High-Level Meeting on the Humanitarian Situation in Yemen" (PDF). UN (OCHA). 22 September 2017. Retrieved 1 October 2017. ^ Neuwirth, Angelika; Sinai, Nicolai; Marx, Michael (2010). The Qur? ?n in Context: Historical and Literary Investigations Into the Qur? ?nic Milieu. BRILL. ISBN 9789004176881. ^ Beeston, A.F.L. ; Ghul, M.A. ; Müller, W.W.; Ryckmans, J. (1982). Sabaic Dictionary. University of Sanaa, YAR. p. 168. ISBN 2-8017-0194-7. ^ Vladimir Sergeyevich Solovyov (2007). Enemies from the East? : V. S. Soloviev on Paganism, Asian Civilizations, and Islam. Northwestern University Press. p. 149. ^ Edward Balfour (1873). Cyclopædia of India and of Eastern and Southern Asia, Commercial, Industrial and Scientific: Products of the Mineral, Vegetable and Animal Kingdoms, Useful Arts and Manufactures, Band 5. Printed at the Scottish & Adelphi presses. p. 240. ^ Nöldeke, Theodor (1879). T. Nöldeke, Geschichte der Perser und Araber zur Zeit der Sasaniden aus der arabischen Chronik des Tabari: Übersetzt und mit ausführlichen Erläuterungen und ergänzungen Versehn. Leiden: E.J. Brill. p. 222. ^ Korotayev, Andrey (1995). Ancient Yemen: some general trends of evolution of the Sabaic language and Sabaean culture. Oxford: Oxford University Press. ISBN 0-19-922237-1. ^ "The kingdoms of ancient South Arabia". British Museum. Archived from the original on 3 December 2013. Retrieved 7 February 2014. ^ Paul Lunde, Alexandra Porter (2004). Trade and travel in the Red Sea Region: proceedings of Red Sea project I held in the British Museum, October 2002. Archaeopress. p. 20. ISBN 1841716227. in 976–77 AD[...] the then ruler of Yemen received slaves, as well as amber and leopard skins from the chief of the Dahlak islands (off the coast from Massawa). ^ Nahrawālī, Muḥammad ibn Aḥmad (6 September 2002). البرق اليماني في الفتح العثماني [Lightning Over Yemen: A History of the Ottoman Campaign in Yemen, 1569–71]. Translated by Smith, Clive. I. B. Tauris. p. 2. ISBN 9781860648366. ^ a b c Michel Tuchscherer. "Chronologie du Yémen (1506–1635)', Chroniques yémenites". Retrieved 3 February 2014. ^ a b c Accounts and Extracts of the Manuscripts in the Library of the King of France. 2. R. Faulder. 1789. p. 75. ^ a b Accounts and Extracts of the Manuscripts in the Library of the King of France. 2. R. Faulder. 1789. p. 76. ^ Accounts and Extracts of the Manuscripts in the Library of the King of France. 2. R. Faulder. 1789. p. 78. ^ Ameen Rihani (1960). Kings of the Arabs [Muluk al-Arab]. Beirut: Dar al-Rihani. pp. 214–216. ^ a b c Madawi al-Rasheed (2002). A History of Saudi Arabia. Cambridge University Press. p. 101. ISBN 0521644127. ^ F. Gregory Gause (1990). Saudi-Yemeni Relations: Domestic Structures and Foreign Influence. Books.google.com. Columbia University Press. p. 60. ISBN 978-0-231-07044-7. Retrieved 22 February 2013. ^ Dresch, Paul (2000). A History of Modern Yemen. Books.google.com. Cambridge University Press. p. 115. ISBN 978-0-521-79482-4. Retrieved 22 February 2013. ^ a b c d e f "Yemen profile (timeline)". BBC. 26 October 2013. Retrieved 14 December 2013. 1978 – Ali Abdullah Saleh named as president of YAR. ^ a b Nohlen, Dieter; Grotz, Florian; Hartmann, Christof, eds. (2001). Elections in Asia: A data handbook, Volume I. Books.google.com. Oxford: Oxford University Press. pp. 309–310. ISBN 978-0-199-24958-9. Retrieved 7 April 2011. ^ "Persian Gulf War, Desert Storm – War with Iraqi". Laughtergenealogy.com. Archived from the original on 22 January 2004. Retrieved 22 February 2013. 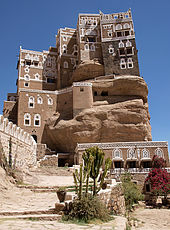 ^ a b c "Country Profile: Yemen" (PDF). Library of Congress – Federal Research Division. August 2008. Retrieved 7 April 2010. ^ "Fighting al-Qaeda: The Role of Yemen's President Saleh". Realclearworld.com. 17 December 2009. Archived from the original on 9 February 2010. Retrieved 22 February 2013. ^ Hill, Ginny (1 April 2009). "Yemen's point of no return". London: The Guardian. Retrieved 22 February 2013. ^ "The Islah Party". Islamopedia Online. 13 December 2012. Archived from the original on 7 April 2015. Retrieved 19 October 2014. ^ Bernard Haykel (14 June 2011). "Saudi Arabia's Yemen Dilemma:How to Manage an Unruly Client State". Foreign Affairs. Retrieved 24 October 2014. ^ "Civil war". Yca-sandwell.org.uk. Yemeni Community Association in Sandwell. Archived from the original on 16 June 2013. Retrieved 23 February 2013. ^ U.S. Department of State. Background Notes: Mideast, March 2011. InfoStrategist.com. ISBN 978-1-59243-126-7. ^ "Yemen timeline". BBC. 28 November 2012. Retrieved 23 February 2013. ^ "Time running out for solution to Yemen's water crisis". The Guardian, IRIN, quoting Jerry Farrell, country director of Save the Children in Yemen, and Ghassan Madieh, a water specialist for UNICEF in Yemen. 26 August 2012. ^ "In eleventh-hour reversal, President Saleh announces candidacy". IRIN. 25 June 2006. Retrieved 14 December 2010. 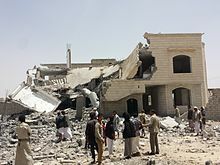 ^ "Deadly blast strikes Yemen mosque". BBC News. 2 May 2008. Retrieved 23 May 2008. ^ "President Ali Abdullah Saleh Web Site". Presidentsaleh.gov.ye. Archived from the original on 19 December 2010. Retrieved 18 November 2010. ^ "Saleh re-elected president of Yemen". Al Jazeera. 23 September 2006. Retrieved 14 December 2010. ^ "Yemeni president takes constitutional oath for his new term". News.xinhaunet.com. Xinhua. 27 September 2006. Retrieved 14 December 2010. ^ Daniel Cassman. "Al-Qaeda in the Arabian Peninsula". Stanford University. Retrieved 22 February 2013. ^ "Regime and Periphery in Northern Yemen: The Huthi Phenomenon" (PDF). 17 September 2010. Retrieved 22 February 2013. ^ Ross, Brian; Esposito, Richard; Cole, Matthew; et al. (18 December 2009). "Obama Ordered U.S. Military Strike on Yemen Terrorists". New York: ABC News. ^ "Losing Yemen: How this forgotten corner of the Arabian Peninsula became the most dangerous country in the world". Foreign Policy. Washington DC. 5 November 2012. Archived from the original on 30 May 2013. Retrieved 22 February 2013. ^ "In wake of airline incident: Drumbeat for US war in Yemen". The Intelligence Daily. 30 December 2009. Archived from the original on 1 January 2010. ^ Hakim Almasmari (31 January 2013). "US makes a drone attack a day in Yemen". The National. Abu Dhabi. Retrieved 22 February 2013. ^ Siobhan Gorman; Adam Entous (14 June 2011). "CIA Plans Drone Strikes in Yemen". Wall Street Journal. New York. Retrieved 22 February 2013. ^ Adam Entous; Siobhan Gorman; Julian E. Barnes (26 April 2012). "U.S. Relaxes Drone Rules". Wall Street Journal. New York. ^ Wheaton, Sarah (10 January 2010). "Obama Plays Down Military Role in Yemen". New York Times. Retrieved 10 January 2010. ^ Andrew Katz: U.S. Officials: Drone Strike That Hit Yemen Wedding Convoy Killed Militants, Not Civilians, Time 20 December 2013. ^ "Islamic State bomb attack on Houthi rebel leaders in Yemen leaves 28 dead". The Guardian. 30 June 2015. ^ "War in Yemen Is Allowing Qaeda Group to Expand". The New York Times. 16 April 2015. ^ Louisa Loveluck (30 June 2015). "Islamic State targets Houthi mourners in Yemen with car bomb". The Daily Telegraph. ^ "US steps up arms for Saudi campaign in Yemen". Al-Jazeera. 8 April 2015. ^ Mark Perry. US generals: Saudi intervention in Yemen ‘a bad idea’, Al Jazeera. April 17, 2015. ^ "Jihadis likely winners of Saudi Arabia's futile war on Yemen's Houthi rebels". The Guardian. 7 July 2015. ^ "Yemen conflict: Al-Qaeda joins coalition battle for Taiz". BBC. 22 February 2016. Retrieved 23 February 2016. ^ Ghosh, Bobby (17 September 2012). "The End of Al-Qaeda?". Time. New York. Retrieved 24 September 2012. ^ "Whose Side Is Yemen On?". Foreign Policy. Washington, D.C. 29 August 2012. Archived from the original on 30 May 2013. Retrieved 22 February 2013. ^ "Yemeni Parties, Houthi Rebels Form Unity Government". Voice of America. 21 September 2014. Retrieved 22 January 2015. ^ "Yemen Swears In New Government Amid Crisis". The Huffington Post. 9 November 2014. Archived from the original on 23 January 2015. Retrieved 22 January 2015. ^ "Shiite rebels shell Yemen president's home, take over palace". Newsday. 20 January 2015. Archived from the original on 23 January 2015. Retrieved 22 January 2015. ^ "Here is what's happening in Yemen". The Washington Post. 22 January 2015. Retrieved 22 January 2015. ^ Rohan, Brian (22 February 2015). "Hadi, a once-quiet leader of a fractious Yemen, strikes defiant pose by reclaiming presidency". U.S. News and World Report. Retrieved 22 February 2015. ^ "President Hadi says Aden is Yemen's 'capital'". Al Arabiya. 7 March 2015. Retrieved 11 March 2015. ^ "Yemen's Prime Minister Is Preparing to Flee as Separatists Reach Gates of the Presidential Palace". Time. 30 January 2018. Archived from the original on 2 February 2018. Retrieved 25 January 2019. ^ editor, Patrick Wintour Diplomatic (16 November 2017). "Saudis must lift Yemen blockade or 'untold' thousands will die, UN agencies warn". The Guardian. ^ "50,000 children in Yemen have died of starvation and disease so far this year, monitoring group says". Chicago Tribune. Associated Press. 16 November 2017. ^ Kristof, Nicholas (31 August 2017). "The Photos the U.S. and Saudi Arabia Don't Want You to See". New York Times. ^ "Saudi de facto blockade starves Yemen of food and medicine". Reuters. 11 October 2017. ^ "Suspected cholera cases in Yemen surpass one million, reports UN health agency". UN. 22 December 2017. ^ a b c Robert D. Burrowes (2010). Historical Dictionary of Yemen. Rowman & Littlefield. pp. 5–340. ISBN 0-8108-5528-3. ^ "Paradise Has an Address: Socotra - Geography". socotra.cz. Socotra Z.S. Society. Retrieved 4 February 2019. ^ "Islands east of the Horn of Africa and south of Yemen". WorldWildlife.org. World Wildlife Fund. Retrieved 4 February 2019. ^ a b McLaughlin, Daniel (2008). "1: Background". Yemen. Bradt Travel Guides. p. 3. ISBN 978-1-8416-2212-5. ^ "Al Qaida takes three Yemen towns days after US raid". Gulf News Yemen. 6 February 2017. Retrieved 5 February 2017. ^ "Civilian death toll hits 10,000 in Yemen conflict, UN says". Daily Sabah. 18 January 2017. Retrieved 5 February 2017. ^ "Freedom in the World – Yemen (2007)". Freedomhouse.org. 2007. Retrieved 17 October 2010. ^ "Yemen's Saleh declares alliance with Houthis". Al Jazeera. 10 May 2015. Retrieved 5 January 2016. ^ Mangan, Fiona (March 2015). Prisons in Yemen. Washington, DC: United States Institute of Peace. p. 9. Retrieved 21 June 2015. ^ "The Yemeni-Saudi Border Treaty". Theestimate.com. June 2000. Archived from the original on 15 April 2001. Retrieved 22 February 2013. ^ al-Kibsi, Mohammed (12 January 2008). "Saudi authorities erect barriers on Yemeni border". Yemen Observer. ^ Lewis, Alexandra (14 May 2013). "Violence in Yemen: Thinking About Violence in Fragile States Beyond the Confines of Conflict and Terrorism". Stability: International Journal of Security and Development. 2 (1). ^ "Human Rights in Yemen". Derechos – Human Rights. January 2001. Retrieved 13 December 2013. ^ "Here are the 10 countries where homosexuality may be punished by death". The Washington Post. 24 February 2014. ^ "Yemen: International Religious Freedom Report 2007". U.S. State Department. 14 September 2007. Retrieved 21 March 2010. ^ a b "World Refugee Survey 2008". U.S. Committee for Refugees and Immigrants. 19 June 2008. Archived from the original on 19 October 2014. Retrieved 13 December 2013. ^ "The Global Gender Gap Report 2012" (PDF). World Economic Forum. 2012. Retrieved 13 December 2013. ^ "World Report 2001 on Yemen". Human Rights Watch. 2001. Retrieved 13 December 2013. ^ Daragahi, Borzou (11 June 2008). "Yemeni bride, 10, says I won't". Los Angeles Times. Retrieved 16 February 2010. ^ Walt, Vivienne (3 February 2009). "A 10-Year-Old Divorcée Takes Paris". Time/CNN. Retrieved 16 February 2010. ^ Madabish, Arafat (28 March 2009). "Sanaa's first woman lawyer". Asharq Alawsat English edition. Archived from the original on 7 April 2013. Retrieved 16 February 2010. ^ "Trafficking in Persons Report: Country Narratives T – Z and Special Case" (PDF). U.S. Department of State. 2013. Retrieved 19 August 2013. ^ "Tiers: Placement, Guide, and Penalties for Tier 3 Countries". U.S. Department of State. 2011. Retrieved 19 August 2013. ^ "Slaves in impoverished Yemen dream of freedom". Al Arabiya. 21 July 2010. Archived from the original on 12 January 2012. ^ a b "Law establishing province of Socotra Archipelago issued". Presidenthadi-gov-ye.info. 18 December 2013. Archived from the original on 22 February 2014. Retrieved 15 February 2014. ^ "Yemen to Become Six-Region Federation". Al-Jazeera. 10 February 2014. ^ Al-Haj, Ahmed (3 January 2015). "Yemen's Shiite rebels reject plan for federal system". The Washington Post. Retrieved 21 March 2015. ^ "Yemeni government quits in protest at Houthi rebellion". The Guardian. 22 January 2015. Retrieved 21 March 2015. ^ Greenfield, Danya (22 January 2015). "Yemen crisis: A coup in all but name". BBC News. Retrieved 21 March 2015. ^ Adam Heffez (23 July 2013). "Water Problem due to cultivation of Qat". Foreign Affairs. Retrieved 27 December 2013. ^ "Entrepreneur tries to get Yemenis buzzing about coffee, not qat". CSMonitor.com. 27 October 2012. Retrieved 23 December 2015. ^ "Republic of Yemen: Interim Poverty Reduction Strategy Paper" (PDF). International Monetary Fund. December 2000. Retrieved 21 March 2010. ^ "Republic of Yemen Enhanced Structural Adjustment Facility Medium-Term Economic and Financial Policy Framework Paper 1999–2001". International Monetary Fund. 5 March 1999. Retrieved 13 December 2013. ^ Evans, Judith (21 October 2009). "Yemen could become first nation to run out of water". The Times. Archived from the original on 11 March 2017. Retrieved 11 March 2017. ^ "Climate Change 2001: Impacts, Adaptation and Vulnerability". Archived from the original on 26 June 2015. Retrieved 25 June 2015. ^ "YEMEN: Time running out for solution to water crisis". IRIN. 13 August 2012. Retrieved 17 April 2015. ^ Mahr, Krista (14 December 2010). "What If Yemen Is the First Country to Run Out of Water?". TIME Magazine. Retrieved 17 April 2015. ^ al-Mujahed, Ali; Naylor, Hugh (23 July 2015). "In Yemen's grinding war, if the bombs don't get you, the water shortages will". Washington Post. Retrieved 20 September 2015. ^ "The World Factbook: Albania". Central Intelligence Agency. Retrieved 21 June 2013. ^ "The General Census of Population 2004". Sabanews. 29 December 2004 [Updated 13 December 2013]. Retrieved 13 December 2013. ^ "Country Comparison: Total fertility rate". Central Intelligence Agency. CIA World Factbook. Retrieved 23 February 2013. ^ Eric Hansen (January 2006). "Sana'a Rising". Saudi Aramco World. Archived from the original on 27 November 2013. Retrieved 13 December 2013. ^ "U.S. Relations With Yemen". U.S. Department of State. 28 August 2013. ^ Flamand, Annasofie; Macleod, Hugh (5 December 2009). "The children of Yemen's tribal war". The Herald Scotland. Glasgow. Retrieved 22 February 2013. ^ Lehmann, Hermann (1954). "Distribution of the sickle cell trait". Eugenics Review. 46 (2): 101–121. PMC 2973326. PMID 21260667. ^ Lawrence G. Potter (2009). The Persian Gulf in History. p. 7. ISBN 9780230618459. ^ Pirouz Mojtahed-Zadeh (2013). Security and Territoriality in the Persian Gulf: A Maritime Political Geography. p. 64. ISBN 9781136817175. ^ "The Jews of Yemen". Jewish Virtual Library. Retrieved 22 February 2013. ^ "Indian Diaspora in Yemen". Indian Embassy in Sanaa. Archived from the original on 12 March 2011. Retrieved 24 February 2013. ^ "The world's successful diasporas". Management Today. London. 3 April 2007. Retrieved 13 December 2013. ^ Ameen Ali Talib (November 1995). "Hadramis in Singapore". Al-bab.com. Archived from the original on 12 December 2013. Retrieved 13 December 2013. ^ "Mauritania – Arab invasions". Library of Congress Country Studies. Retrieved 13 December 2013. This article incorporates text from this source, which is in the public domain. ^ a b Jonathan Fowler (18 October 2014). "Red Sea drownings of Yemen-bound migrants hit new high". Your Middle East. Retrieved 19 October 2014. ^ "Poor and desperate, Syrian refugees beg on Yemen's streets". Reuters. 26 September 2013. Retrieved 13 December 2013. ^ Black, Ian (2 April 2013). "Saudi Arabia expels thousands of Yemeni workers". The Guardian. London. Retrieved 13 October 2013. ^ "History of Islam in the UK". BBC. 7 September 2009. Retrieved 21 March 2010. ^ Woodard, Roger D. (10 April 2008). The Ancient Languages of Asia and the Americas. Cambridge University Press. p. 228. ISBN 978-0-521-68494-1. Retrieved 23 June 2013. ^ "Ethnologue entry for South Arabian languages". Ethnologue.com. Retrieved 21 March 2010. ^ "Yemen – Languages". Ethnologue. 19 February 1999. Retrieved 23 December 2015. ^ "Wikimedia Traffic Analysis Report - Wikipedia Page Views Per Country - Breakdown". stats.wikimedia.org. ^ "YEMEN 2012 INTERNATIONAL RELIGIOUS FREEDOM REPORT" (PDF). U.S. Department of State. ^ a b "Yemen: The conflict in Saada Governorate – analysis". UN High Commissioner for Refugees. 24 July 2008. Retrieved 2 January 2014. ^ Al-Zaidi, Hassan (22 October 2007). "The Twelve-Imam Shiite Sect". Yemen Times. Archived from the original on 22 October 2007. ^ "Yemen 2012 International Religious Freedom Report" (PDF). United States Secretary of State. Retrieved 2 February 2017. ^ "Yemen". Institut MEDEA. Archived from the original on 6 December 2013. Retrieved 14 December 2013. ^ United States Bureau of Democracy, Human Rights and Labor. Yemen: International Religious Freedom Report 2008. This article incorporates text from this source, which is in the public domain. ^ "Guide: Christians in the Middle East". BBC News. ^ Johnstone, Patrick; Miller, Duane Alexander (2015). "Believers in Christ from a Muslim Background: A Global Census". IJRR. 11: 17. Retrieved 28 October 2015. ^ Ben Zion, Ilan (21 March 2016). "17 Yemenite Jews secretly airlifted to Israel in end to 'historic mission'". Times of Israel. Retrieved 21 March 2016. ^ "The media in Yemen, short introduction to media in Yemen including broadcasting. Last revised on 21 February 2006". Al-bab.com. Archived from the original on 27 March 2014. Retrieved 15 February 2014. ^ "Arab Media Outlook 2011–2015" (PDF). 2012. p. 217. Retrieved 13 December 2013. ^ "The Sport of Camel Jumping". Smithsonianmag.com. September 2010. Retrieved 7 February 2015. ^ "Yemenis open up about the Gulf Cup". Yemen Today. 7 January 2011. Archived from the original on 10 May 2011. Retrieved 8 February 2011. ^ "List of World Heritage in Danger: The 54 properties which the World Heritage Committee has decided to include on the List of World Heritage in danger in accordance with Article 11 (4) of the Convention". UNESCO World Heritage Centre. 2015. Retrieved 30 April 2017. ^ Bokova, Irina (12 May 2015). "UNESCO Director-General calls on all parties to protect Yemen's cultural heritage". UNESCO World Heritage Centre. Retrieved 30 April 2017. In addition to causing terrible human suffering, these attacks are destroying Yemen’s unique cultural heritage, which is the repository of people’s identity, history and memory and an exceptional testimony to the achievements of the Islamic Civilization. 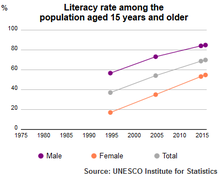 ^ "National adult literacy rates (15+), youth literacy rates (15–24) and elderly literacy rates (65+)". UNESCO Institute for Statistics. Retrieved 13 December 2013. ^ "Republic of Yemen, Ministry of Education Report 2008. "The Development of Education in the Republic of Yemen."" (PDF). 2008. p. 3. Retrieved 13 December 2013. ^ "Republic of Yemen, Ministry of Education Report 2008." The Development of Education in the Republic of Yemen."" (PDF). 2008. p. 5. Retrieved 13 December 2013. ^ "Country Profile: Yemen, August 2008" (PDF). Library of Congress. August 2008. Retrieved 22 February 2013. ^ Sweetland Edwards, Haley (11 October 2009). "Yemen water crisis builds", Los Angeles Times. ^ a b c d e "EZ Proxy | California State University, Long Beach". login.csulb.idm.oclc.org. Retrieved 18 December 2018. ^ a b c d "Yemen's health system another victim of the conflict – UN health agency". UN News. 23 February 2017. Retrieved 18 December 2018. ^ "WHO | Health system in Yemen close to collapse". WHO. Retrieved 18 December 2018. ^ Raghavan, Sudarsan. "Dying babies and no doctors: A look inside a Yemeni hospital". The Washington Post. ^ "Yemen's healthcare system confronts mounting burden | News | Al Jazeera". www.aljazeera.com. Retrieved 18 December 2018. ^ a b "Yemen: The human cost of war | | Al Jazeera". www.aljazeera.com. Retrieved 18 December 2018. ^ a b c d "EZ Proxy | California State University, Long Beach". login.csulb.idm.oclc.org. Retrieved 18 December 2018. ^ "Yemen cholera outbreak accelerates to 10,000+ cases per week: WHO". Reuters. 2 October 2018. Retrieved 18 December 2018. "Yemen". The World Factbook. Central Intelligence Agency. This page was last edited on 25 April 2019, at 15:11 (UTC).